On Wednesday, December 12, 2018 from 12 – 2 p.m., the Center for the Study of Slavery and Justice will present In Solidarity: Exhibiting Civic Engagement, Protest, and Activism on Campus. 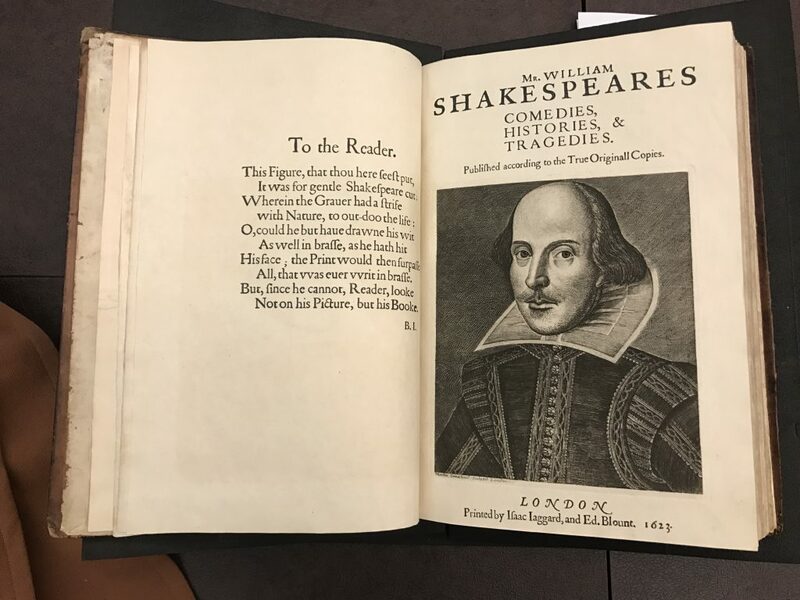 The Brown University Library is taking part in this campus-wide, end of semester open gallery event, during which students and members of the community are invited to experience different perspectives on issues of social justice. 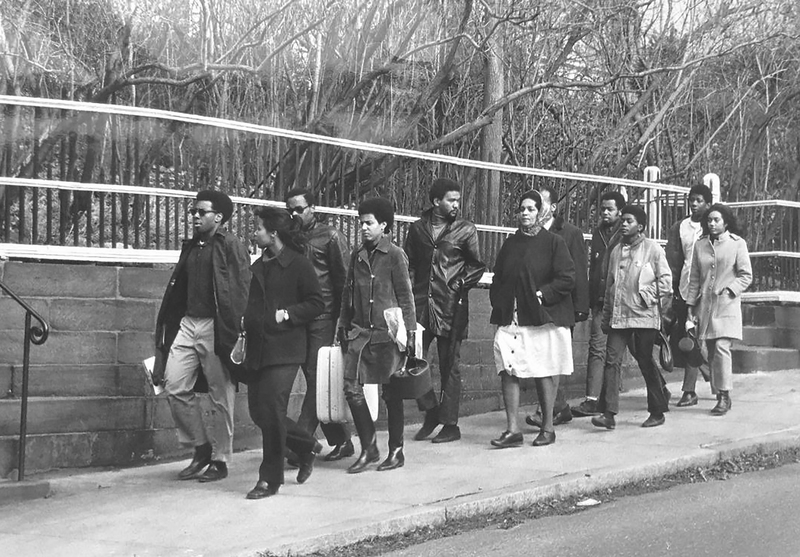 Each exhibition on the self-guided tour examines civic engagement, activism, and protest through archival documents, contemporary artwork, historic photographs, and music. 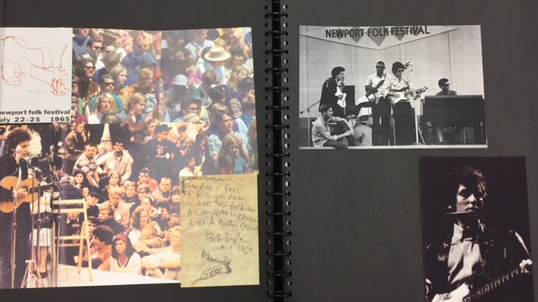 The Library’s exhibit, Protest & Perspectives: Students at Brown 1960s – 90s, was created by the Brown University Archives Fellows and can be viewed on the wall outside of the Patric Ma Digital Scholarship Lab in the Rockefeller Library. Seven locations with eleven exhibits will be available on the tour. Click here for the list of spaces and exhibits and click here for a map of the participating galleries. 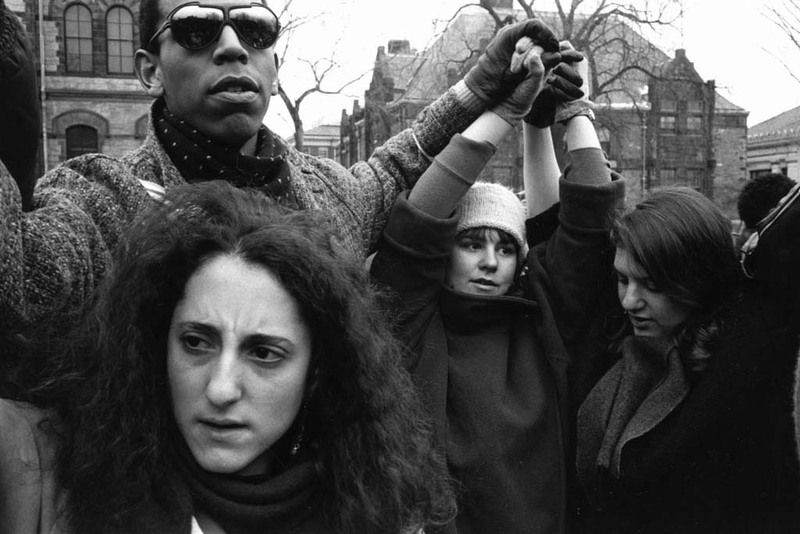 Were you first engaged in organizing for change at Brown? Are you engaged now? Join fellow Brown alumni to discuss the gratification and challenges of public engagement. Share your story about your participation in efforts to make your community a better place through social change, greater diversity, higher standards, and equitable structures. 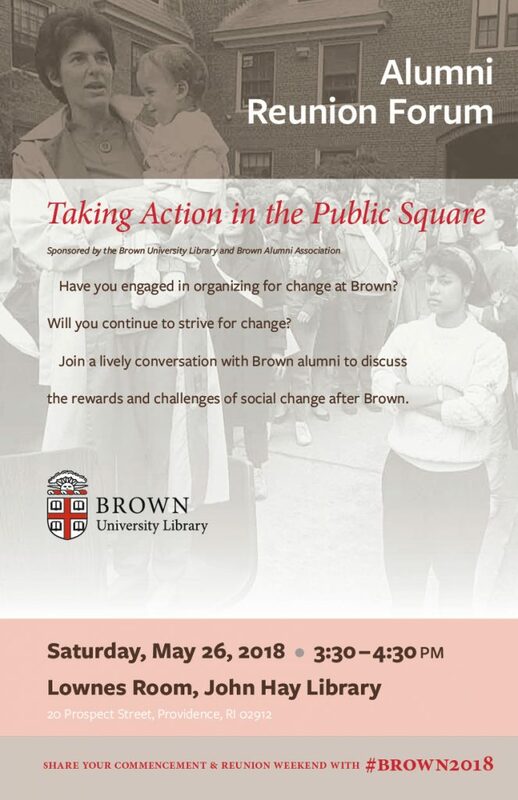 Join the Brown University Library and the Brown Alumni Association for an Alumni Reunion Forum entitled, “Taking Action in the Public Square,” on Saturday, May 26, from 3:30 pm – 4:30 pm in the Lownes Room of the John Hay Library. For over 200 years Phi Beta Kappa has celebrated academic achievement and advocated for freedom of thought. 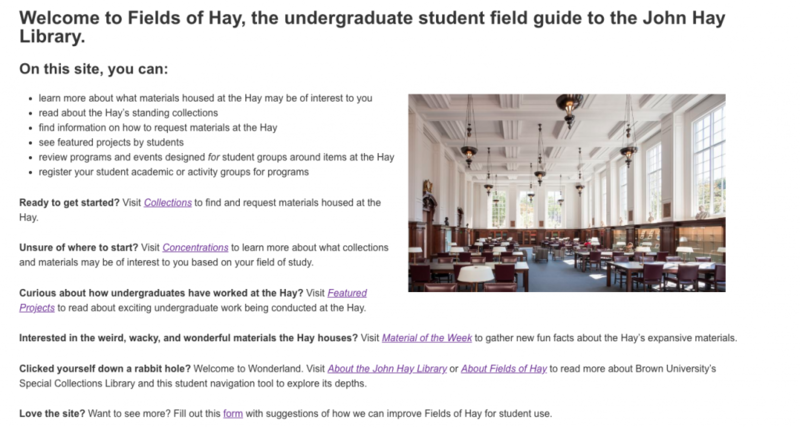 It is the oldest and most prestigious academic honors society in the United States. 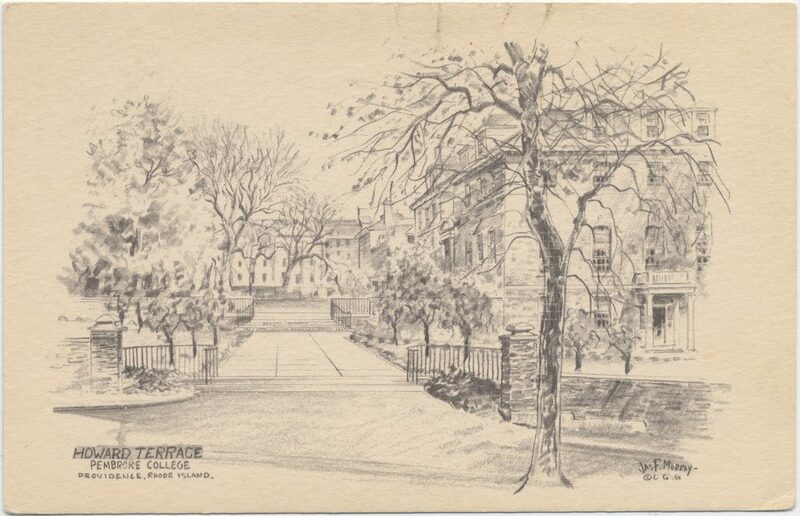 The Rhode Island Alpha Chapter of Phi Beta Kappa was founded at Brown University in 1830. Brown students elected to Phi Beta Kappa join a tradition that exemplifies the Phi Beta Kappa motto “Love of learning is the guide of life,” symbolized in the gold key. Membership is diverse, connecting U.S. Presidents, Supreme Court Justices, Nobel Laureates, authors, diplomats, athletes, researchers, actors, and business leaders. Surprise! 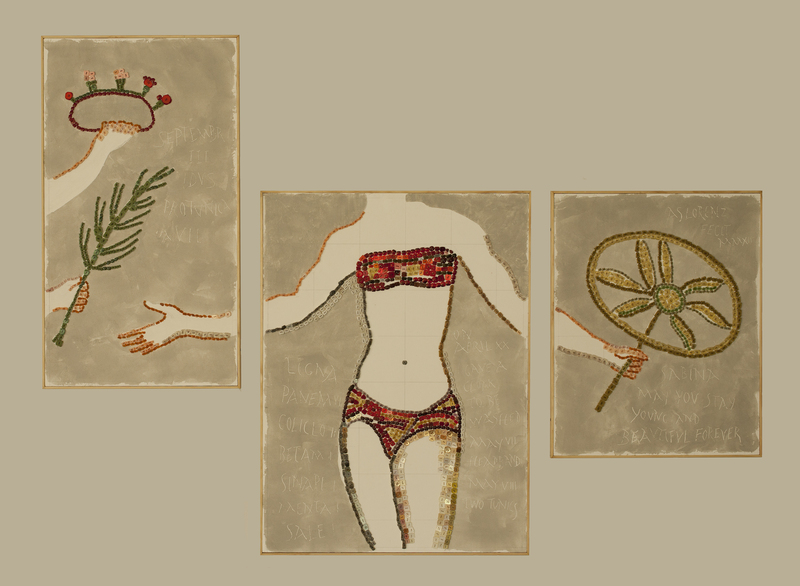 The nearly two-thousand-year-old mosaics from Villa Romana del Casale in Sicily, known simply as the “bikini girls,” are really female athletes from prestigious Roman families. 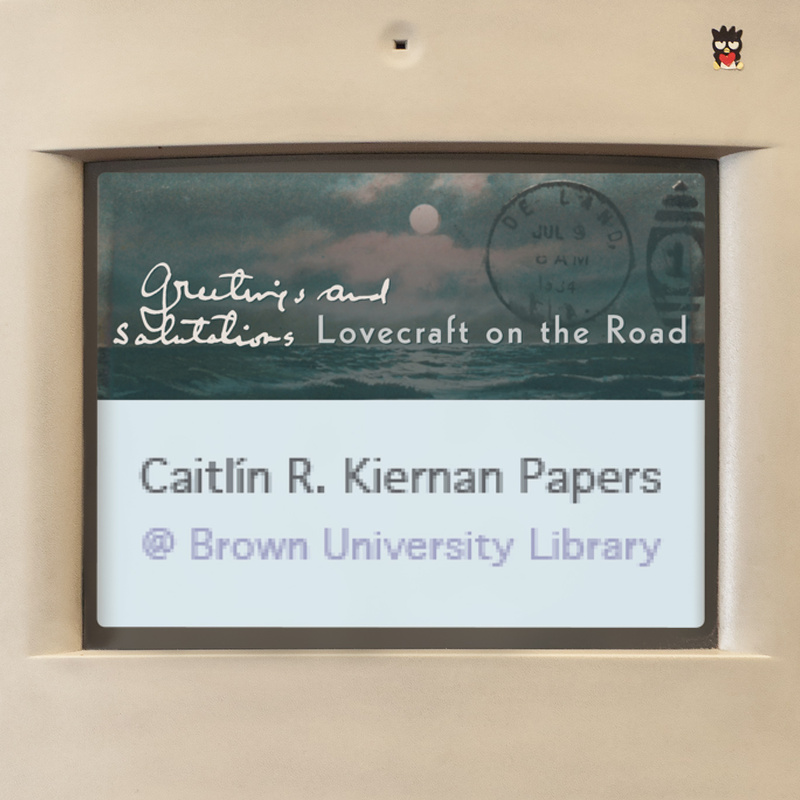 Brown University is the tenth venue for this traveling suite of triptychs, made of buttons and hairpins, which sets the record straight on women in sports. Meet artist Angela Lorenz, class of 1987, P’18 to learn about her visual arts project and the impact of study abroad on Friday, October 13, 2017, at 4 p.m. in the Digital Scholarship Lab, Rockefeller Library. 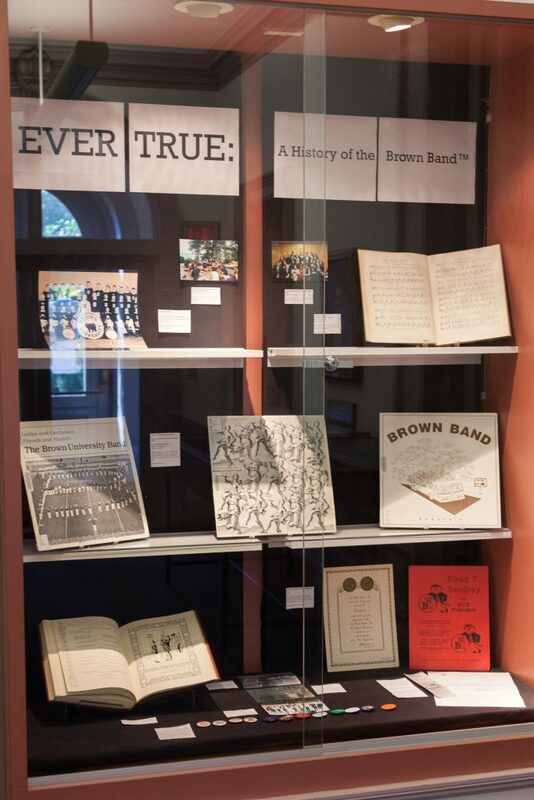 The historians of the Brown University Band present an exhibition on the band’s long and great history, currently on display at the Orwig Music Library. Since 1924 the Brown University Band has entertained on the field at football games, on ice at the hockey games, and in locations all over the country. On view are the musical “BU” sweater worn by the band’s founder, photographs, world famous buttons, as well as an iPad containing sound recordings from 1927-2000 and videos of the band. At the dawn of the 20th century, Brown was thriving. A new president, William H. P. Faunce, was in place; enrollment was approaching 1,000; new buildings were springing up, and a successful $2 million endowment fund campaign had been completed. Brown’s major teams were enjoying a new off-campus facility (Andrews Field) which had supplanted Lincoln Field. Athletics were emerging from the informal club team era under a newly established Director of Physical Education, Frederick W. “Doc” Marvel (1894). Students and alumni were becoming enthralled with intercollegiate athletics, especially with the developing fierce rivalry with Dartmouth. Click here to view the online exhibit. The search was on for a mascot to represent Brown and her teams, often called the Hilltoppers by the press. In 1902 a mascot attempt with a burro was a failure, but in 1904 Theodore Francis Green (1887) solved the problem. Annoyed by “painful attempts” of newspaper artists to come up with an appropriate figure to match the Bulldog and Tiger, Green placed the mounted head of a bear labeled THE BROWN BEAR in the Trophy Room of the new student union (Rockefeller Hall – now Faunce House). Green’s idea quickly took hold, and the bear was celebrated in verse, song, and image. In 1905 a live bear was rented for the Dartmouth football game in Springfield, beginning a famous tradition which, despite interruption by two world wars and the Great Depression, continued into the mid-1960’s. Live bear lore abounds with stories which defy contemporary imagination: college hijinks such as “bearnappings” and tragic bear deaths and funerals. In addition to live bears, students donned bear costumes, a custom which continues to this day with Bruno and his sidekick Cubby, whose identities are kept secret. The first costumed bear was a group effort, when in 1906 at the Dartmouth game a student wrapped in a bear skin arrived in Springfield. In the post-game victory march back to the city, students took turns after each “bear” dropped exhausted in the frenzied swirling snake dance. Campus statuary has also reflected the importance of the Brown Bear to the Brown community. The Bronze Bruno (1927), Fountain Bear (1932), Swearer Bear (1988), and Indomitable (2013), all keep the Brown Bear symbol constantly in view. The true meaning of the Brown Bear has been the cause of debate since the beginning. For years after its casting in 1923, Bronze Bruno remained in hibernation at Gorham Manufacturing Company while debate raged on about its meaning and proper placement. 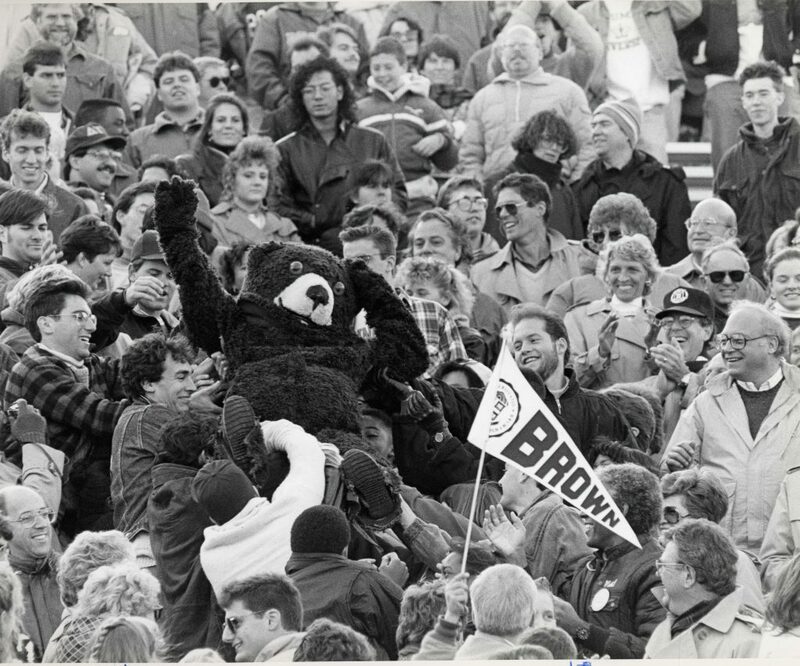 Today the use of the term Brown Bear extends to men’s and women’s athletic teams, Alumni Brown Bear Awards, and employee BEAR Day, to name a few.